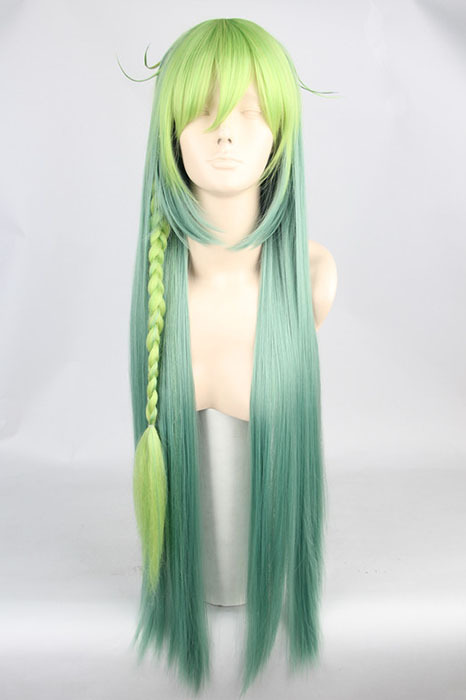 Amnesia Ukyo multi color cosplay wig is 100cm long and with very great color matching. This is why the wig looks beautiful and is perfect when you need a little highlight with a simple straight style. It is made from 100% heat resistant fibers so can be safely heat treated. 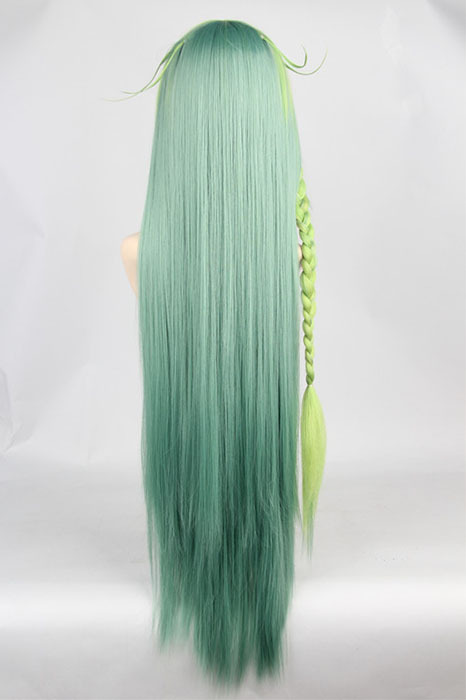 This green color mixed wig is 100 cm long & straight. 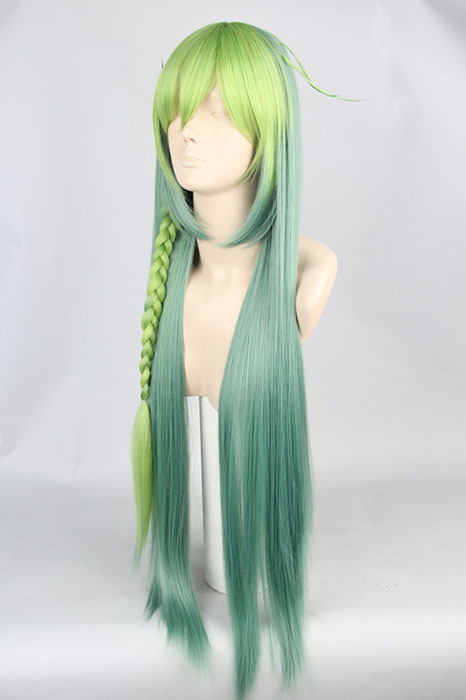 Since Amnesia Ukyo cosplay wig is 100 cm long and free from unnatural synthetic shine, this wig looks kind of natural. The bangs are un-styled and are available for trimming. With a very delicate pigtail in the left side looks exactly the same you might require for Amnesia Ukyo. 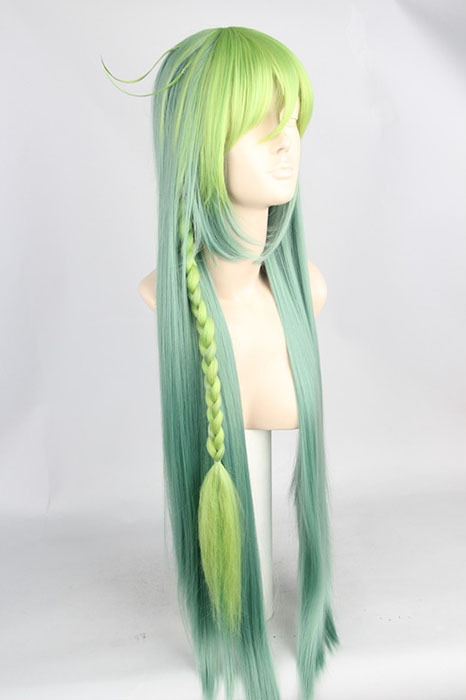 This entry was posted in Buy Cosplay Wigs, Human Hair Wigs and tagged Amnesia Ukyo Cosplay Wig, long straight wigs, Sailor Moon cosplay wigs.